As word began to spread around the world of Jacko's demise, traffic surged causing site shut downs and server crashes. For the first half an hour after the news broke on www.tmz.com, traffic levels on google news were so high that Google presumed an attack on their systems. 36 out of the top 100 Google search terms were linked to Jackson's death and his music. The BBC reported a 48 per cent increase in traffic. 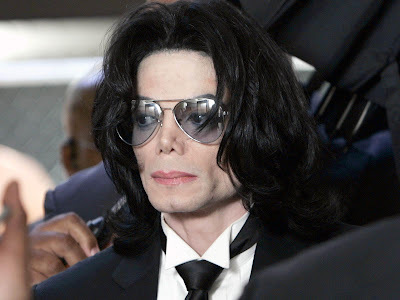 According to Twitter tracking software, Twist, at the height of the traffic surge nearly 30 percent of all Tweets were Jacko related as people turned to the site to try and confirm reports of the suspected death. Interestingly enough, when I first heard the news in a restaurant last night, everyone's first reaction was to reach for the iPhone and get on twitter - not the BBC. I suspect this illustrates how people are beginning to trust people more than they trust the traditional news agencies. Or perhaps it's a matter of speed of WOM. Either way, it proves yet again the value of social technology to help people communicate. Shut up about the Internet you numpty. Michael Jackson is dead.